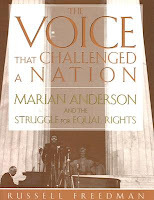 The Voice That Challenged a Nation: Marian Anderson and the Struggle for Equal Rights by Russell Freedman, read by Sharon Washington. Marian Anderson was an internationally acclaimed singer in the 1930s and '40s. Internationally acclaimed, and yet she still couldn't book some venues in the United States because she was black. In this fascinating biography, Freedman explores Anderson's life from her under-resourced roots in Philadelphia to her friendship with Eleanor Roosevelt to her success performing in countries around the world. I didn't know anything about Anderson before listening to this book, but I found her story absorbing and important. A great choice for families with upper elementary or middle school students. 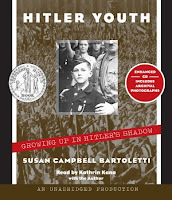 Hitler Youth: Growing Up in Hitler's Shadow by Susan Campbell Bartoletti, read by Kathrin Kana. This book tells the story of children and young adults growing up in Nazi Germany. The reparations from World War I had hit Germany hard and the Nazi party promised jobs and money. Children joined the Hitler Youth, not knowing that the Nazis were committing such atrocities. Bartoletti concentrates on a handful of German youth, each with a different and interesting story. I was especially interested by the kids who found out the Nazis were lying to them and participated in resistance movements. This is definitely a choice for older kids - middle school and high school. I think all these books would make great family listens because they're interesting to a range of people and they provide material for lots of discussion. 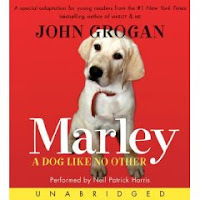 And happy Non-Fiction Monday! Check out the round-up at Picture Book of the Day!